Proper development of a child's visual system helps to ensure clear and comfortable vision for life. We monitor children for color vision, depth perception, eye alignment, and lazy eye (amblyopia) to encourage proper and balanced eye health and vision development. We carry a variety of children's frames with some having a warranty at no additional cost. We have many years experience fitting children in contact lenses. 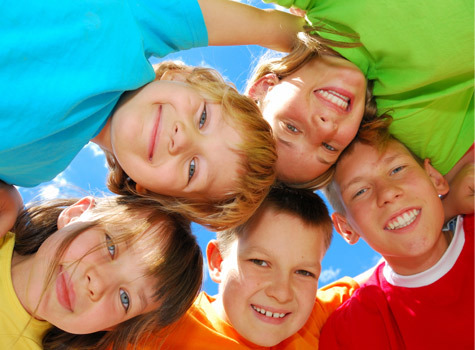 For kids with an active lifestyle or who play sports, daily disposable contact lenses are an ideal solution as these contact lenses are among the healthiest, require a minimal amount of care and are easily replaced if lost. Early eye examinations, even if a child does not complain of blurry vision, are a crucial step to establish a baseline for your child's eye health. Many children with poor eyesight are not aware of how poorly they see and most find ways to cope with blurry vision whether always sitting in the front of class, squinting to see clearer or simply avoiding situations which require clear, comfortable vision such as reading and homework.